Ray Ban Aviator RB 3025 - Gold / Sky Blue Polarized Need Help? 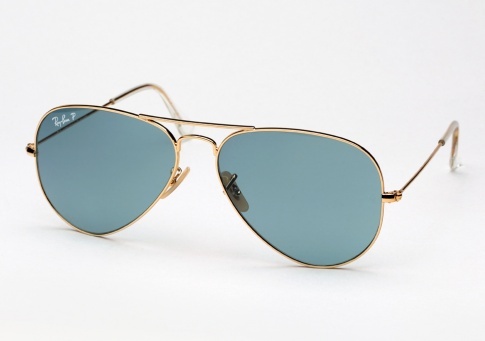 The Ray Ban RB 3025 Aviator is the shape that started it all. The brand staple originally designed for the U.S. military fighter pilots in 1937, the Ray Ban 3025 is a timeless universally face flattering look, with its unmistakable teardrop shaped lenses. A perfect blend of both style and substance has made it one of the most iconic frames of all time, becoming popular among celebrities, rock stars, and generations of stylish individuals both old and new. This frame that has endured for nearly a century and has truly earned it's title as the "classic all American" sunglass.